Summary: No matter you are going to sell or give away your Android phone, it is very important to know how to permanently delete text messages on Android. 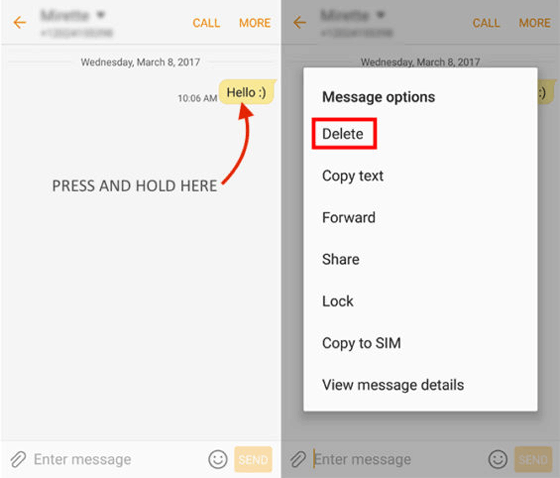 Here this article will show you the safest way to erase messages on Android. Communication through text messages has become one of the best ways of keeping in touch with friends, family members and colleagues. However, if you are using an Android smartphone, you might have limited space in the device's internal memory. Due to these limitations, the mobile user can only receive and store a certain amount of messages. If they exceed the limit, they will have to clear the old text messages in order to acquire new ones. Apart from space, one might be required to permanently delete text messages when they are giving or selling the Android phone to someone else. Clearing the handset ensures that all personal information such as private text messages, bank statements or even medical records are safe. "How do I erase messages? ", someone asked. 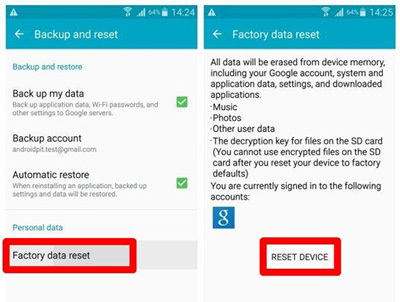 According to most Android phone users, the best way of erasing data from the mobile device is factory resetting it or using the primary deletion feature. However, it is important to note that the primary deletion process only hides the messages from the inbox and does not delete it permanently. The links to these files can be discovered by using data recovery software. Good news is that there are other better methods of wiping out and forever destroying sensitive messages. One of these methods is using the message delete app - Coolmuster Android Eraser. 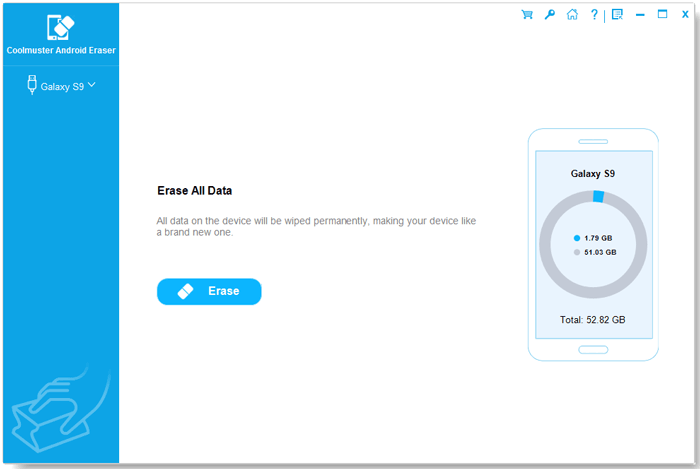 This program allows you to permanently delete all data from your appliance with just one click. It ensures that all data and files are permanently wiped out, including the text messages. It means that you should back up all the critical files from your phone to the computer to avoid losing them. > Download and install the Android database on your personal computer. > Ensure that the program has detected your mobile by connecting it to the machine. You can either use a USB cable or Wi-Fi connection. 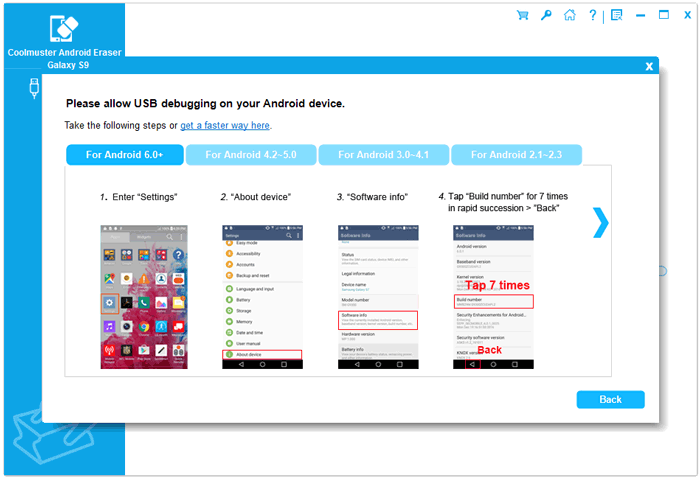 > If you are using a USB cable, enable USB debugging on the Android phone. > After creating the connection, the Eraser will automatically begin to install the drivers in the handset. In other Android versions, there are prompts that pup up, and the user is supposed to click on the "Install" button in order to successfully install the drivers for the device. > If your phone has an Android version of 4.2, you have to click on the "Ok" or "Allow" option to authorize the machine to access the device. > Now that the program can access all the information on your telephone, you can start erasing the data by selecting the "Erase" button. Ensure that you do not interfere with the connection until the scrub process is complete. 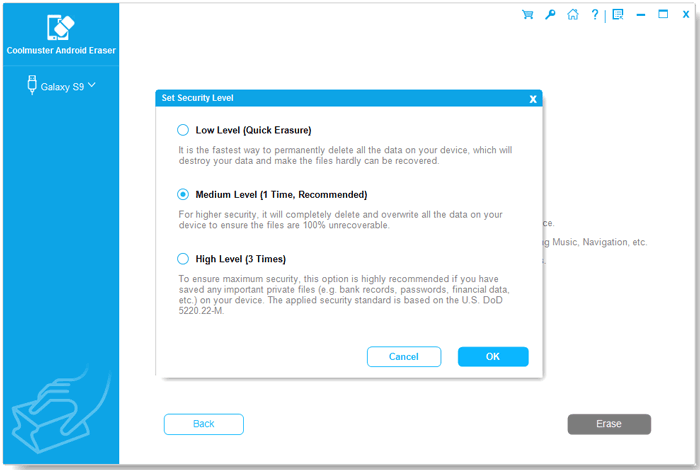 > You can also choose the security level for clearing the files. It could either be Low, Medium or High level. Note that the low level is the fastest. > Type on the delete button on the blank space and press okay to confirm your choice. > After the erase process is over, this program will continue to overwrite all the data and files in your handset. > After erasing and overwriting, it is suggested to restore your Android to factory default settings to clear system settings and system data on your phone. When the whole process is complete, you will all text messages on Android. Of course, you will delete sent text messages on Android or phone and permanently delete deleted text messages on Android as well. How to Permanently Delete Text Messages on iPhone? How to Delete Browsing History & Call History on Android? The "Delete" button on the Android phone allows selective deletion from the tablets and cellphone. The process is quite simple. All you have to do is go to the Messages app and long press on the specific message or the thread you want to erase and click on the "Delete" button. However, this is not a correct deletion because the process only gets rid of the texts visually but does wipe away the content. The messages can be recovered as long as other external files have not occupied the storage space. Alternatively, you can also rely on some third-party tool to delete texts on Android. > Click on the Home button. > Tap on the Settings icon. > Choose "Backup and reset". 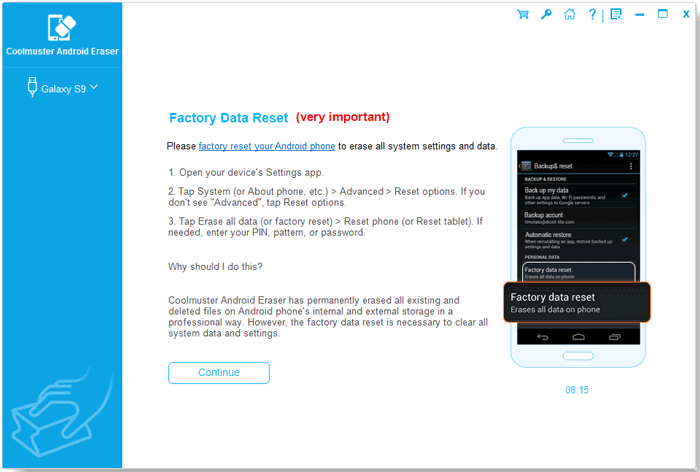 > Scroll down to the "Factory data reset" and select "Reset phone". Unlike using the delete option, in factory reset the user cannot select the files to erase and which ones not to. However, the two methods have one thing in common: they do not permanently rub the phone messages. It is why Android phone users are advised to use a third-party tool to double check whether the threads can be restored even after the receiver has been restored to factory settings. Sending and receiving text messages is a trendy way of communicating. Sometimes, these texts might contain sensitive and personal information. If you intend to give your Android device to a third party and you do not know how to permanently remove text messages from the Android, ensure that you use the above methods before trading the gadget. It makes sure that privacy is upheld and prevents the private data from getting into the wrong hands. So why not have a try on the Coolmuster Android Eraser? How to Backup Android SMS Messages to CSV File? 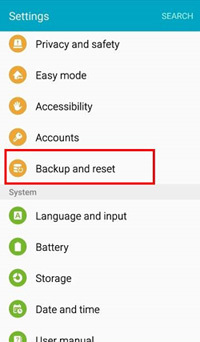 How to Backup Android Text Messages to Gmail? How to Recover Text Messages from Broken Samsung Phones?